Old peeling walls, engraved with moments of yesterdays. Soft poetic light perforates the diamond cuts on the closed window shutters. Vintage fans move the stuffy air in spirals. Unmatching kitchen chairs, a Steinway upright piano and a set of drums are waiting patiently for the show to start. Instantly smitten by the atmosphere of noble decadence, I am standing in the middle of this dusty dark chamber full of humans, strolling my eyes along the painted portraits of musicians long gone. All we, jazz lovers I guess, are diving in anticipation after waiting an hour in the line down St. Peter Street – few are aware of what will happen in a moment, the other few have only a slight idea of it. And here they come! Welcomed by the roaring audience, six men of different ages wearing white shirts and black suits, holding instruments, waving and smiling, sit on the chairs in the most comfortable poses. The first words that come from the drummer Joe Lastie with the same raspy voice of Louis Armstrong let me know – they are HOME. I know I will be blown away. I know this is where I am supposed to be in this mythic city. It feels like a church and before I even take a breath, I hear myself singing along with my son, my man, the young boy beside me, the women in front of me, the elderly man standing up despite his lucky spot on the bench, all blending with the band "Lord, Lord, Lord, You Sure Been Good To Me..."
I find myself in the scene of a movie, the one that I had watched as a child not really understanding what it is all about but remembering the images of a hazy bar with a small stage, cool jazz musicians singing and joking, people around the tables smiling, smoking, dancing, drinking... There are no tables here in Preservation Hall, no glasses with drinks, not even seats, except some rough wooden benches and cushions on the floor. There are people. And, there is MUSIC. Only Music. The most spirited traditional jazz music that slowly works its way under my skin and inhabits my soul for good. The most amazing sounds of the trumpet, clarinet, piano, contrabass, trombone and drums that create vibrations and harmony to make me feel the sound of my own heart. The most conversational, spontaneous piece of music that helps me explore every note and every feeling emerging within me. Music that tells stories and holds history. Music of grace and beauty, resilience and soul. Music that inspires. Music that expresses the rhythm of human life. I have never felt this close to New Orleans. 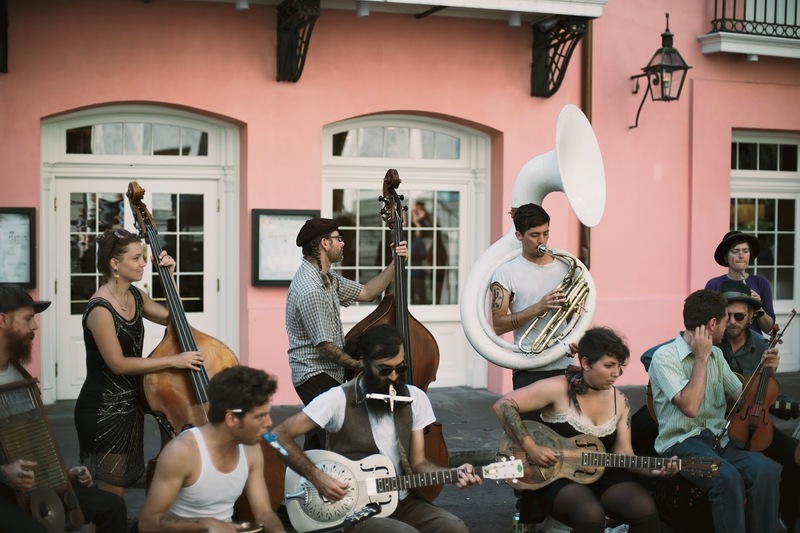 Neither eating the delicious Cajun food nor wandering all day long through the streets of French Quarter have brought me to the irrepressible spirit of the city as these amazing musicians have just done it. With my first footstep here, I sensed uniqueness, freedom, energy (and smell) bubbling up from everywhere like in only a few other cities in the world. I felt the existence of something truly magical. And until this concert at Preservation Hall, I wasn't sure what it is. 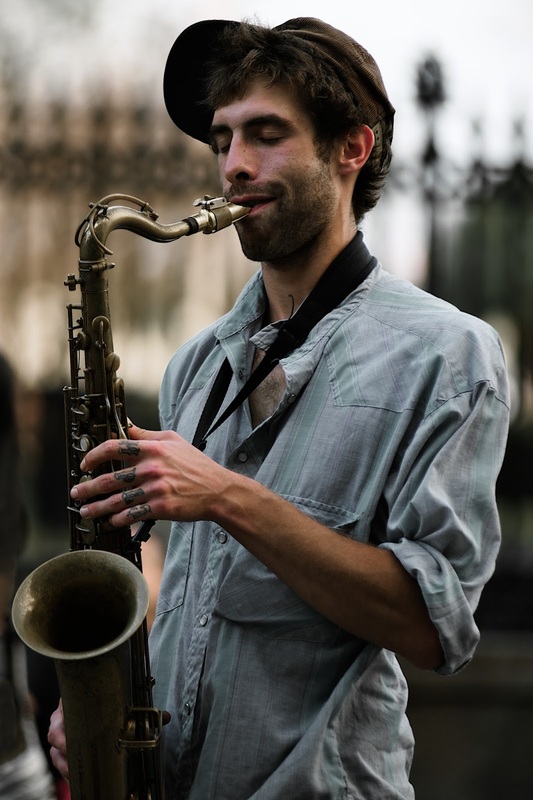 But the more I think of NOLA, the more I am convinced that everything starts with the MUSIC. It is music. The honest, enduring melodies, overflowing with joy, pain, survival, hope, and history. This integral cultural part of the place, big and deep like the mighty Mississippi River that connects people and celebrates life in a way you will see nowhere else. 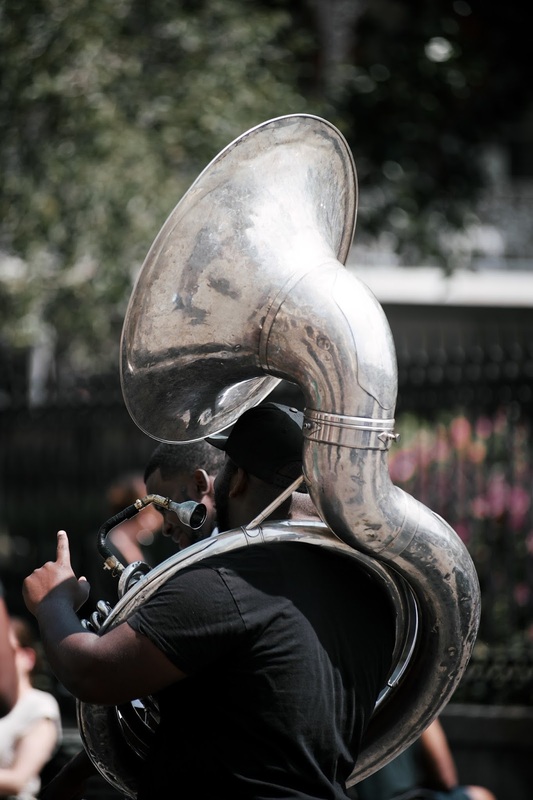 New Orleans, after all, gave the world that jazz, that distinctive musical style which has been as different, complex and intriguing as the city itself. And even the horrible Katrina couldn't wash away the music. Because music and the city exist as a single living organism that breaths with you everywhere you go, every corner you turn. It follows you not for the reason of entertaining you, but rather to give you a chance to experience it in a way that you almost can't describe but will never forget. Because live music here is not an event, it is a beating heart. 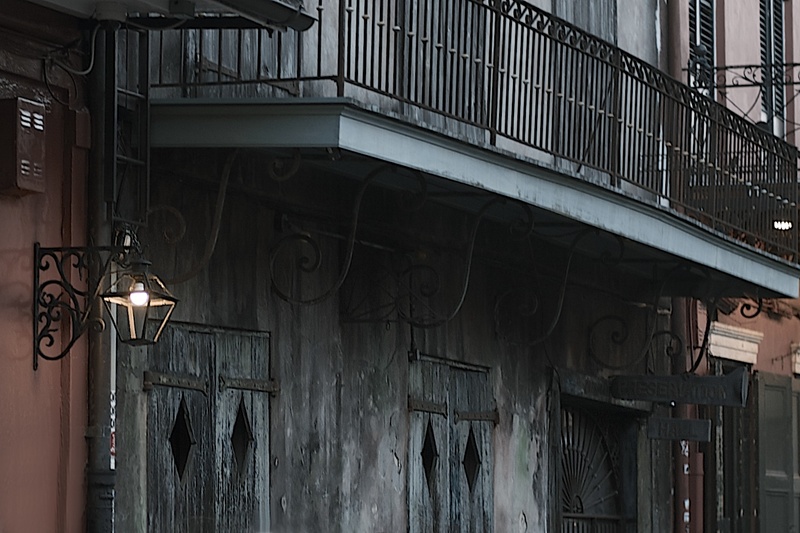 "Sacred, hallowed ground", these are the words Tom Waits chose to describe Preservation Hall with while recording here. 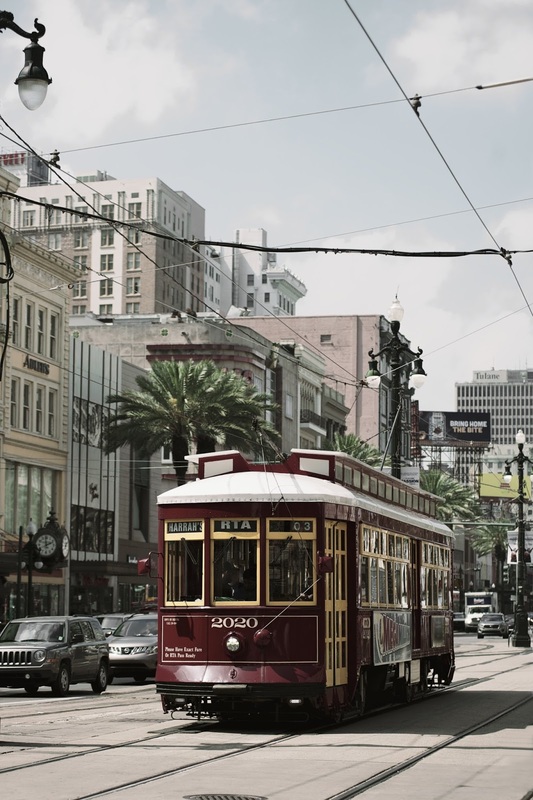 Take a City Sightseeing Tour in a minibus or bicycle to become acquainted with all neighborhoods of the Crescent City – from the historic French Quarter and the devastated by Hurricane Katrina Ninth Ward with its rebuilding project "Musician's Village", through City Park and Tremé to Garden District and Waterhouse District. 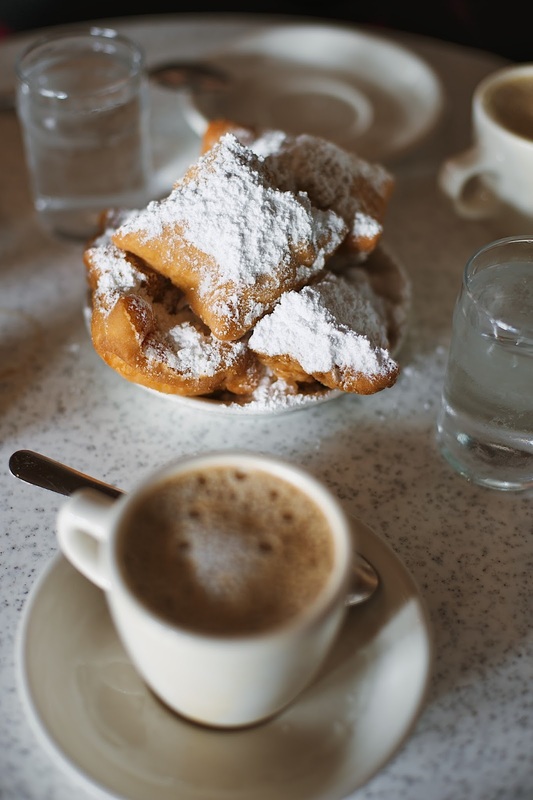 The trip includes a visit to the Morning Call Coffee Stand for a coffee and, of course, beignets. Try their mini muffulettas. 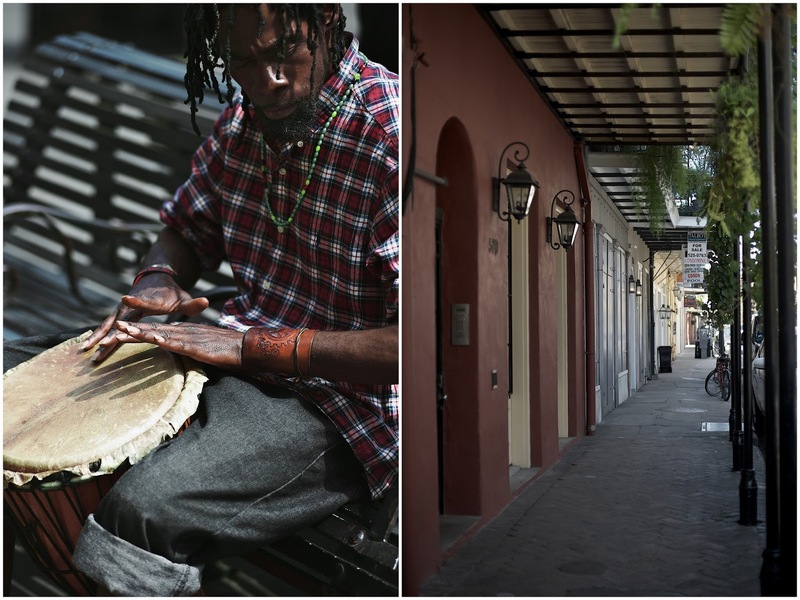 Explore the streets of the captivating French Quarter. 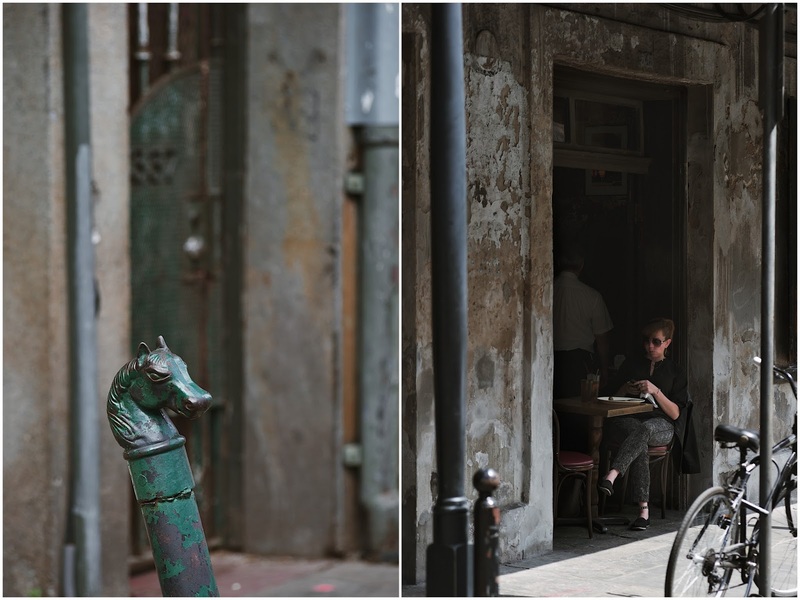 Get a glimpse behind the wrought-iron gates and courtyard doors at the Galier House, Hermann-Grima House, Hotel Provincial, St. Philip or Soniat House Hotels. 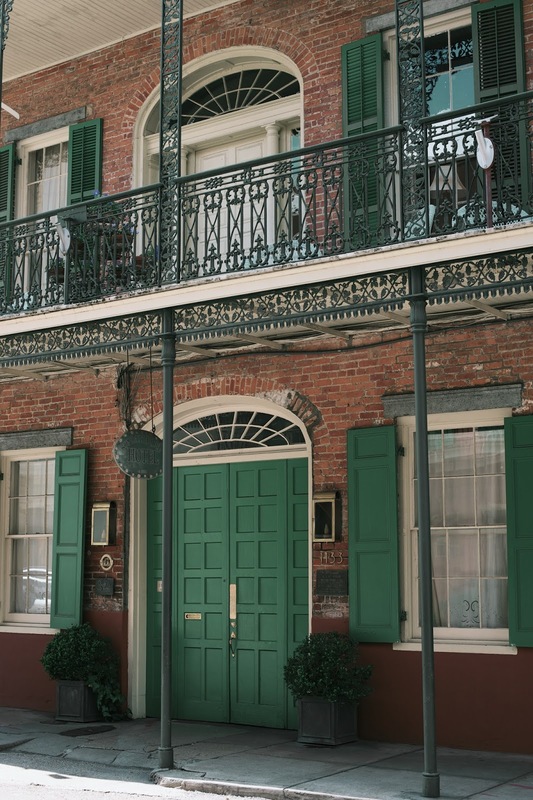 Note the 1823 apothecary shop at Chartres, home of the New Orleans Pharmacy Museum. 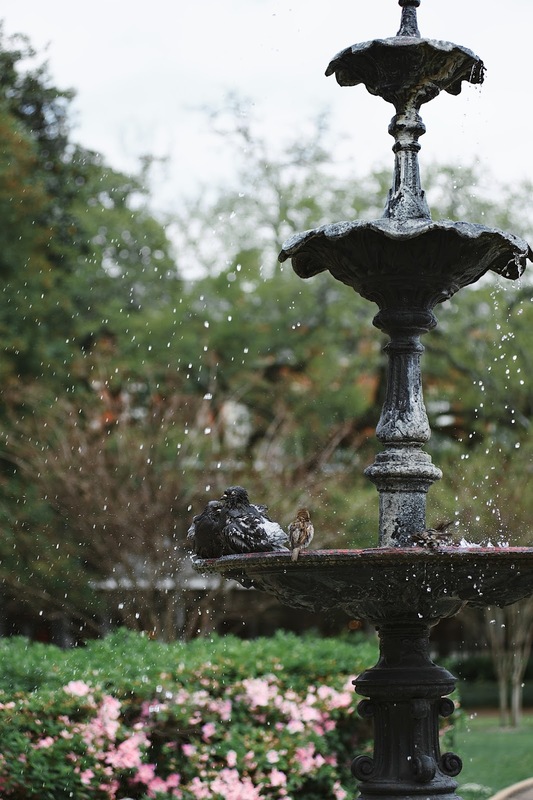 Relax and enjoy the vibes and the historic architecture of Jackson Square. 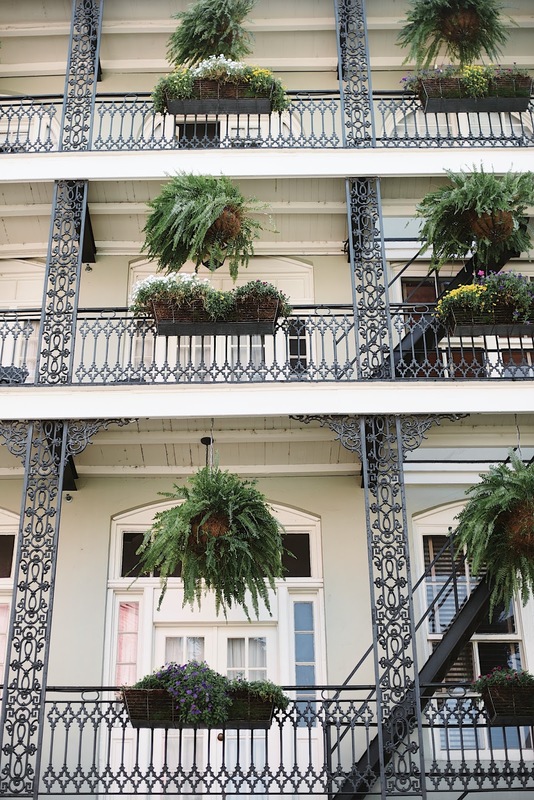 Overlooking the Mississippi River, it is the heart of the French Quarter. Musicians, painters, sketch artists, mimes, tarot-card readers and magicians perform day and night. Some of the best music can be heard right here. Enter the beautiful St. Louis Cathedral. 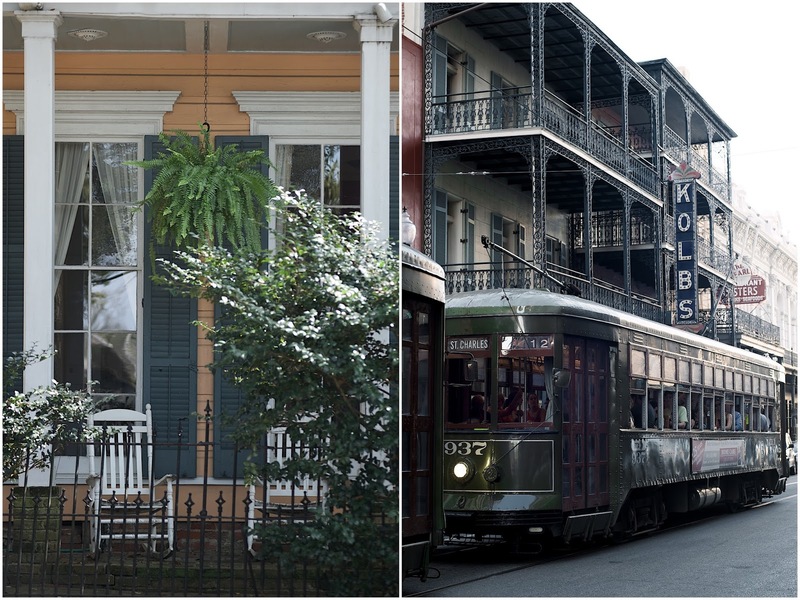 Ride New Orleans's iconic St. Charles Streetcar Line. It is the oldest continuously operating streetcar line in the world, as it has been operation since 1835. Purchase a Jazzy pass and ride this historic olive green streetcar as much as you like. 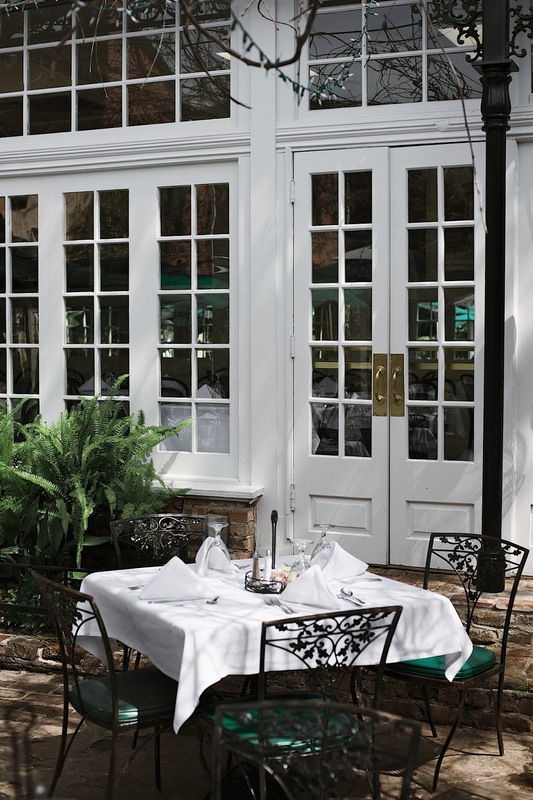 Walk the sidewalks of the elegant Garden District – a neighborhood composed of some of the United-States's best preserved historic Southern mansions. Visit Lafayette Cemetery No.1, one of the city's unique cemeteries. 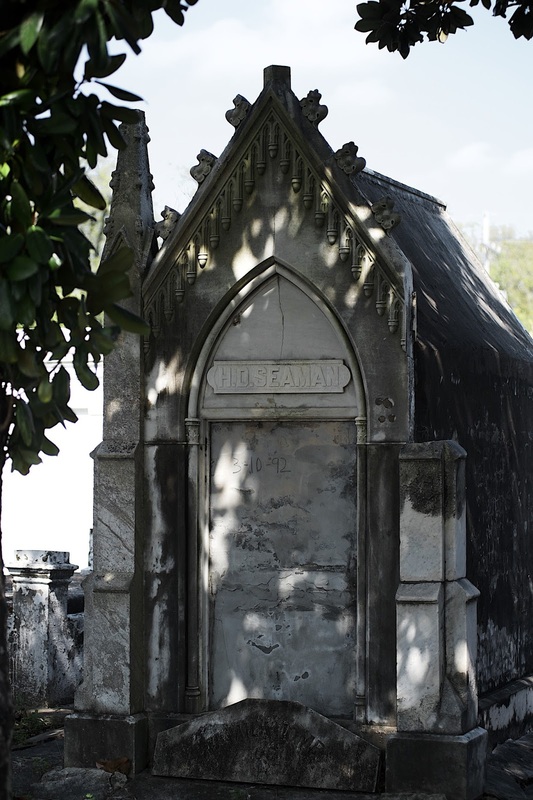 Stroll through the ancient maze of above-ground tombs and learn the fascinating history of burial practices in New Orleans. 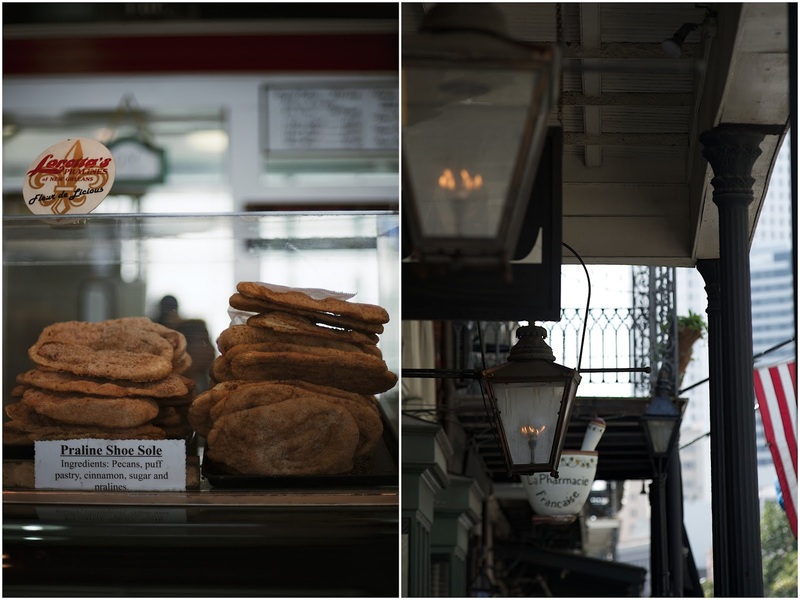 Wonder into America's oldest continually operating public market, the historic French Market. 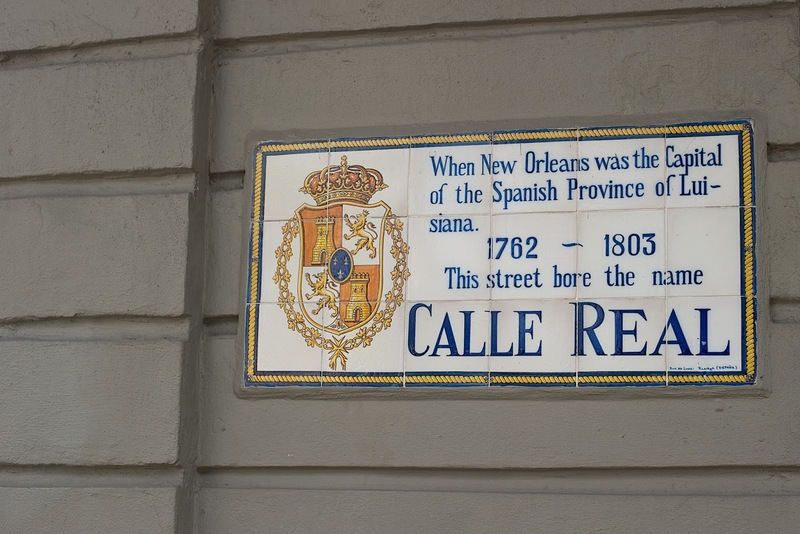 It had its origin even before the city was established in 1718. 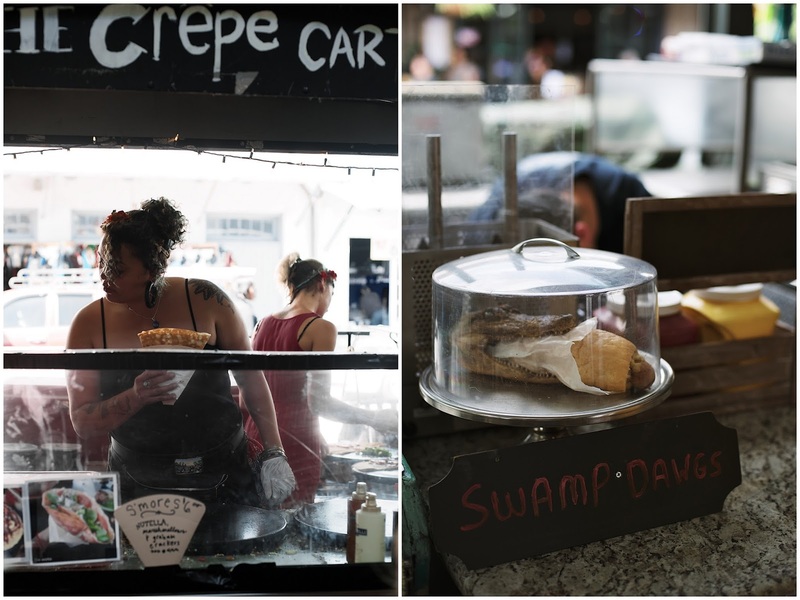 Eat, drink, stroll and shop this riverside area for a lovely authentic experience. It is open 7 days a week, 365 days a year. Cross the Mississippi River with Algiers Ferry to catch a wonderful view of the New Orleans coastline and city. 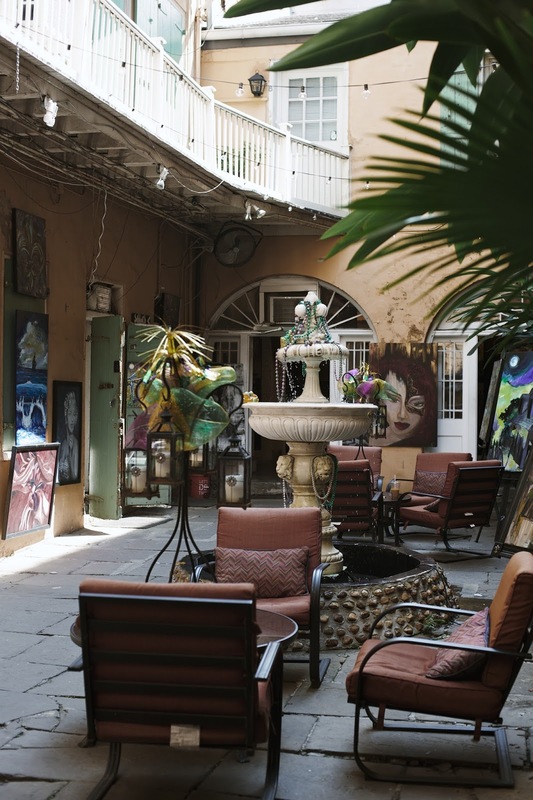 Just outside the French Quarter lies a two-block street called Frenchmen Street home to some of the city's most interesting music clubs. 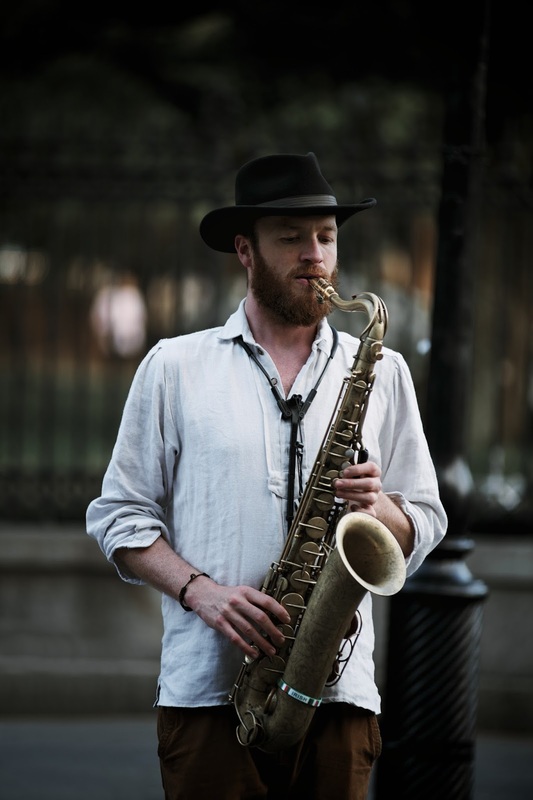 Go there and find talented musicians playing soul, R&B, funk, and jazz. 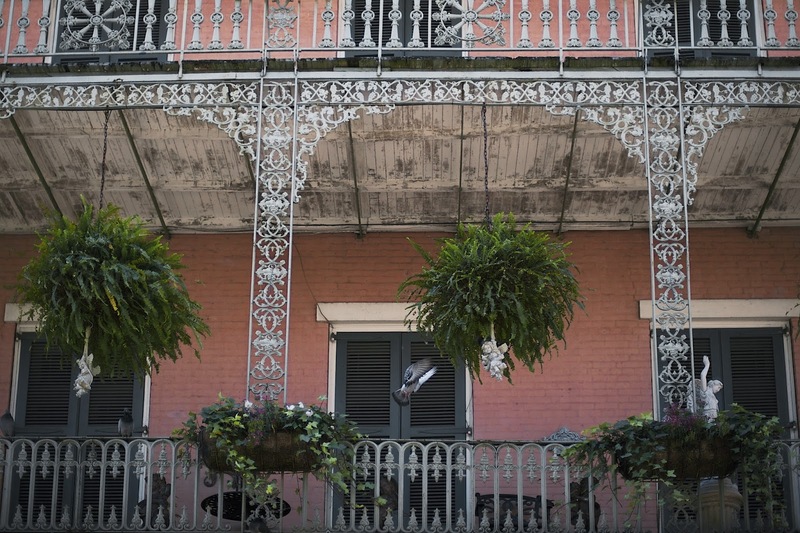 Attend a session of authentic New Orleans jazz at Preservation Hall. These fine musicians only jam evenings from 8, 9 and 10. Line up early or buy a ticket through the website to reserve your seat. 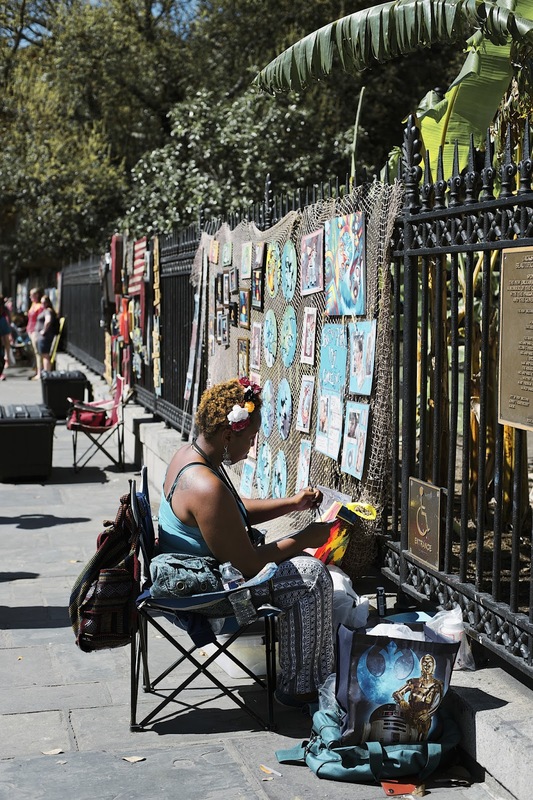 Stop at the New Orleans Musical Legends Park, where statues in the courtyard honor the city's great musicians. The park is free and the music is played all day and night. 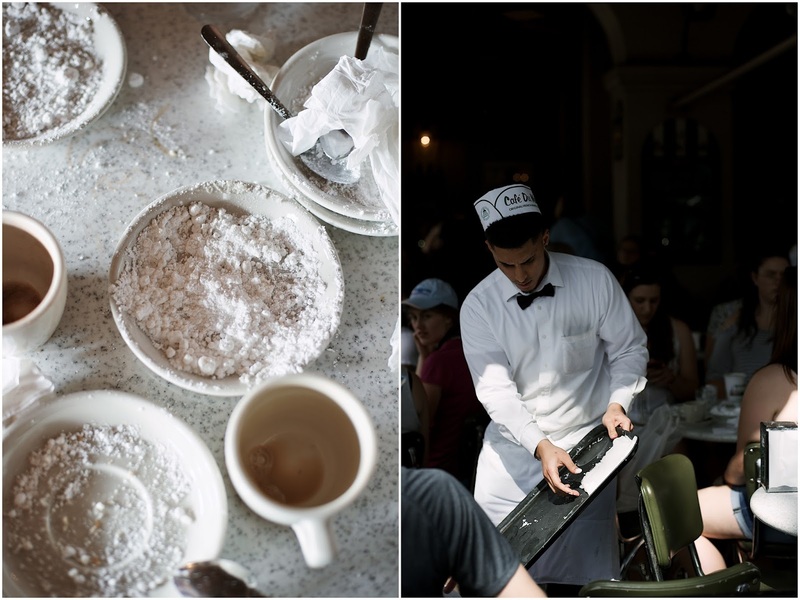 Original Beignets and Café au lait served at Café du Monde since 1862, seven days a week, 24 hours a day. 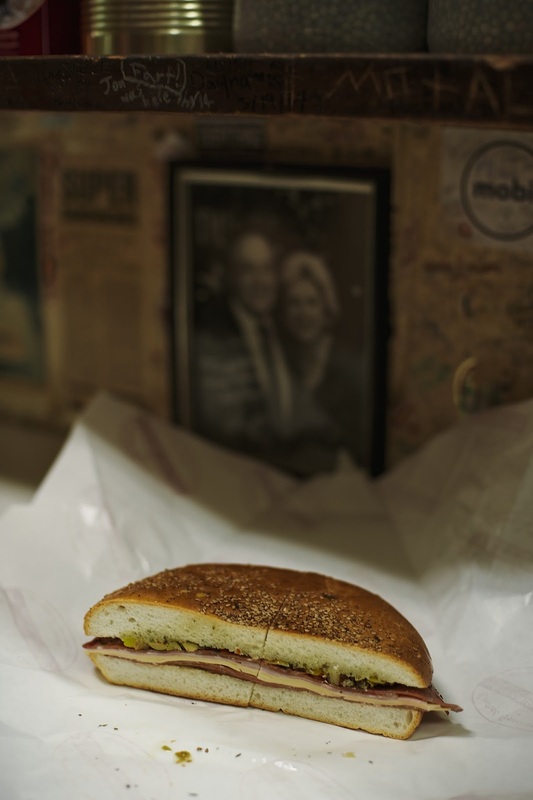 Original Muffuletta from Central Grocery Company. Po' Boy and Jambalaya from Mother's. Gumbo at the Gumbo Shop. Boiled Crawfish by the Boat at the outside balcony of French Market Restaurant and Bar in The French Quarter since 1803, a great view of the Joan of Arc monument on Decatur Street. 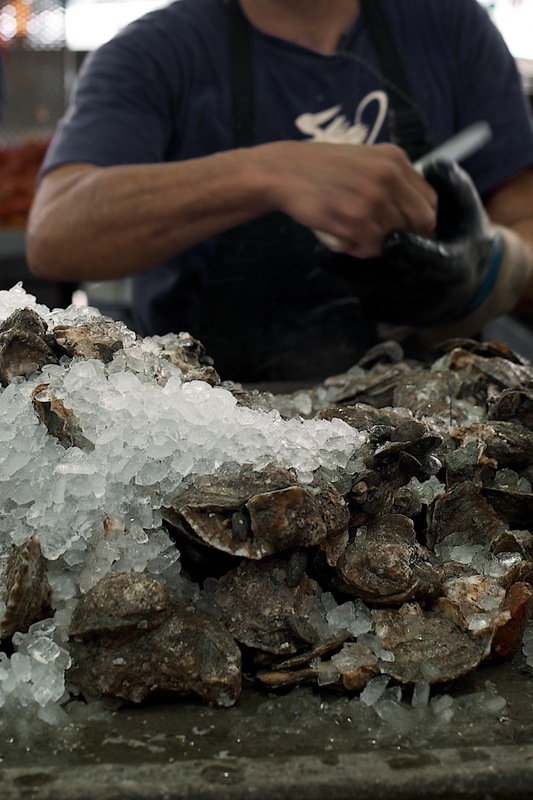 Oysters at J's Seafood Dock and Felix's Oyster Bar. Creole Pralines from Leah's Pralines. 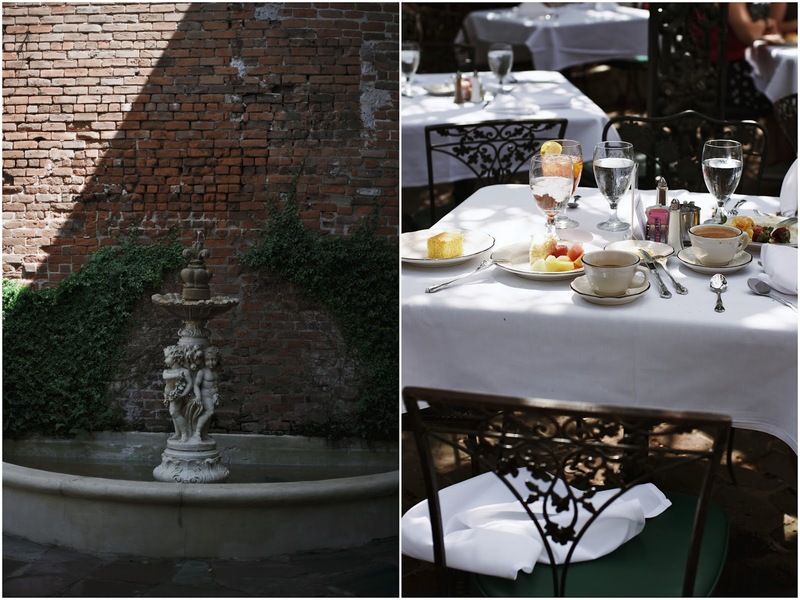 Jazz Brunch Buffet at the Court of Two Sisters Restaurant – wonderful, high-class Creole dining experience from seasonal seafood, pâtes, jambalaya, turtle soup and duck à l'orange to Mardi Gras King Cake, Bread Pudding with Whiskey Sauce and Vanilla Lemon Cake. BBQ at The Joint, Bywater – where the locals eat. 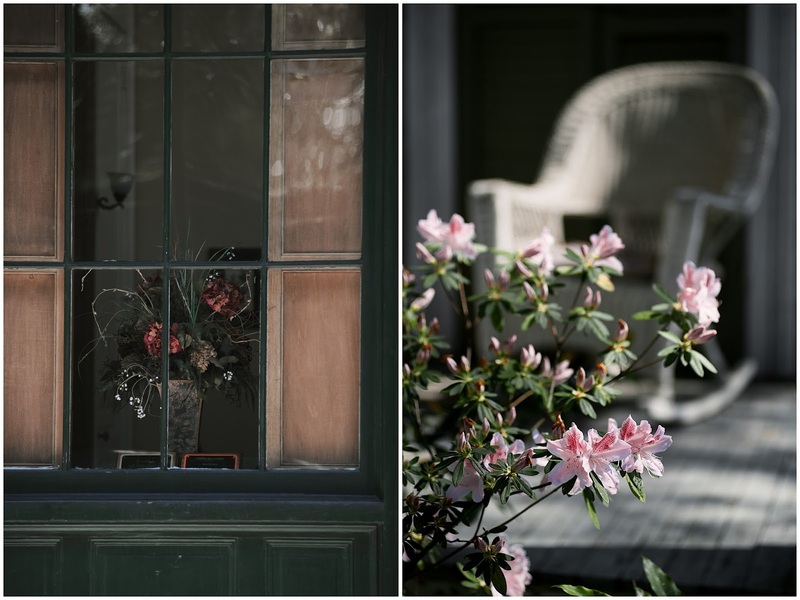 Faulkner House Books – used to be Faulkner's home, it is a book lover's paradise. Do not skip it! 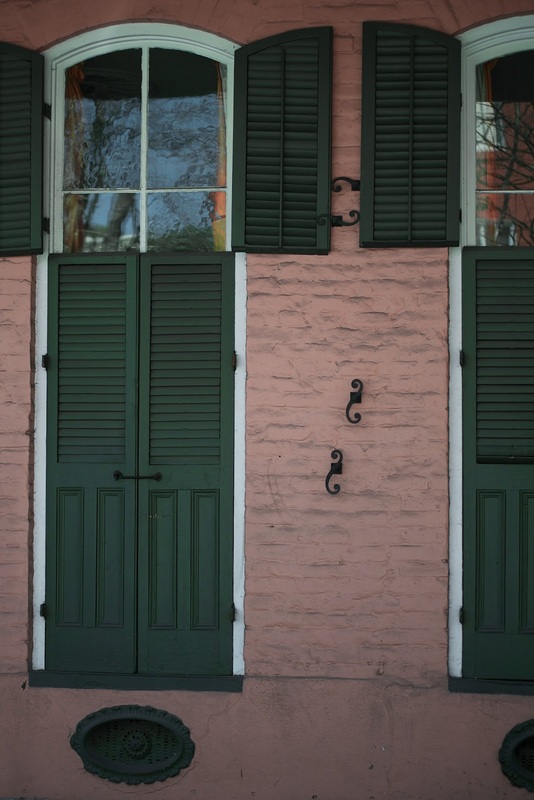 I hope you enjoy my reflection on New Orleans. 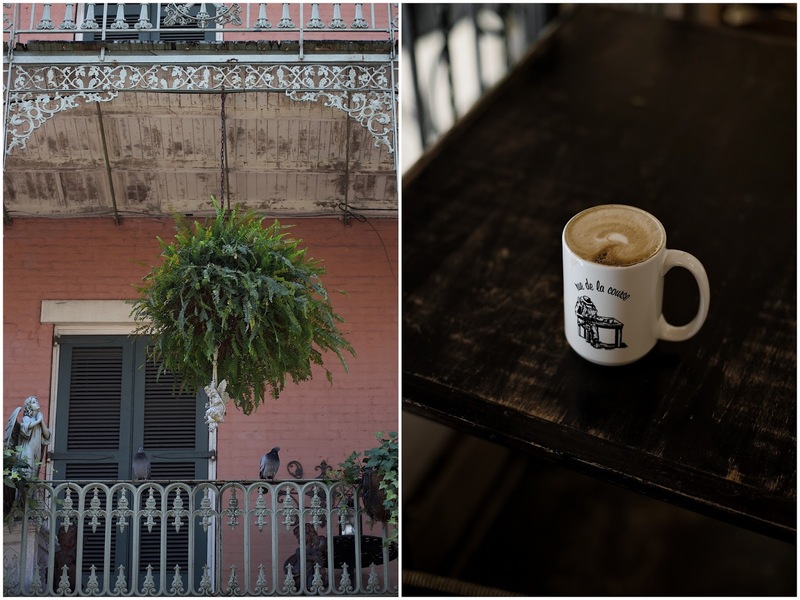 Share your favorite NOLA experience with me in the comment section. GOodness. I am speechless. But my eyes are doing the communication right now; it is highly unlikely that I'll ever make it to New Orléans, but this is enough for me. Your light and shadows, pinks and chippy walls, chippy history and lives are enough for me to savor, talented and lovely SYLVIA! I have so much to say about the joy of discovering photography, and first let me ask you...what size photos are you making these for your blog? I am shooting in RAW now, and for my blog and of course for IG, I have to resize the RAW. When I convert them to JPEGs for social media, I am making them as large as I can go. But yours here are a tad bigger. Is it your blog format that allows for larger photos? NOW.....the shadows. I have always focused on the light of a photo, always striving to understand how some people get so much light into their work. But you have made me see the darker side of a photo, and I LOVE IT. This Tuesday, a dear friend of mine came over and for OUR first time ever, she modeled (she was so thrilled and did a great job) and it was my first time capturing a human. We were elated with the results, and lucky for both of us, she has beautiful dark hair and features. The sunlight and shade really played up her beauty, and I realized that shadows and light dancing at just the right tempo make for this mood. You know it well, and are a master. Thanks for the recommendations. I know I will get to New Orleans before too long! Your photos are absolutely wonderful! Your pictures are stunning!!! 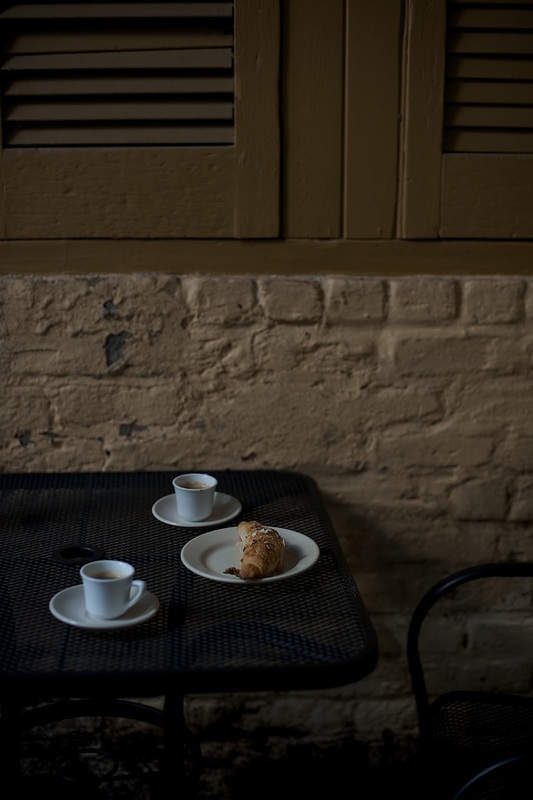 Makes me want to visit even more strongly than I did before and your recommendations will definitely be a part of our itinerary, thank you :) I'm thinking when we go it will be a trip for 3/4 couples….love the French/European influences. 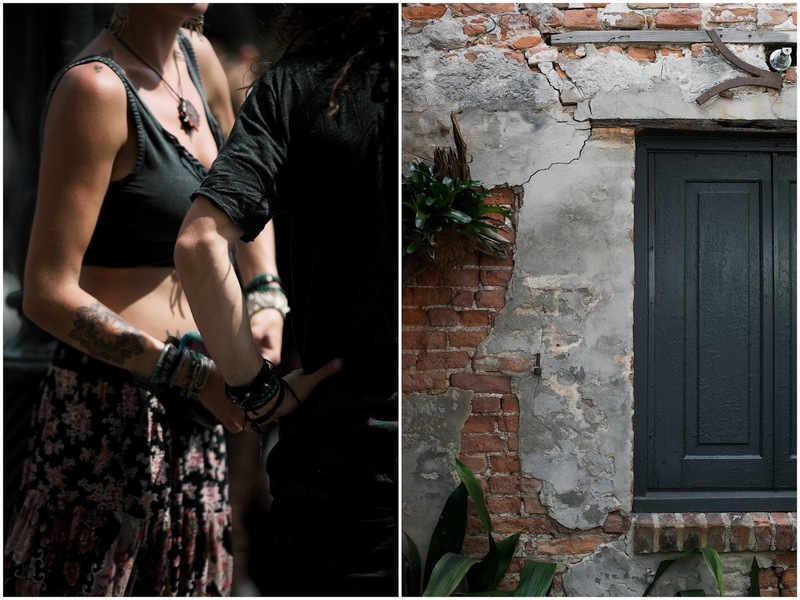 You have written a piece on New Orleans that is magazine/travel journal worthy. And your photography is stunning as always (can I keep saying that over and over?). We've been and I have some of the same photos, of course not as amazing as yours, and I remember some of these restaurants and streets. I hope we return one day. Did you visit any other places? Not sure of you flew or took a road trip. Thank your for a lovely post, Sylvia. 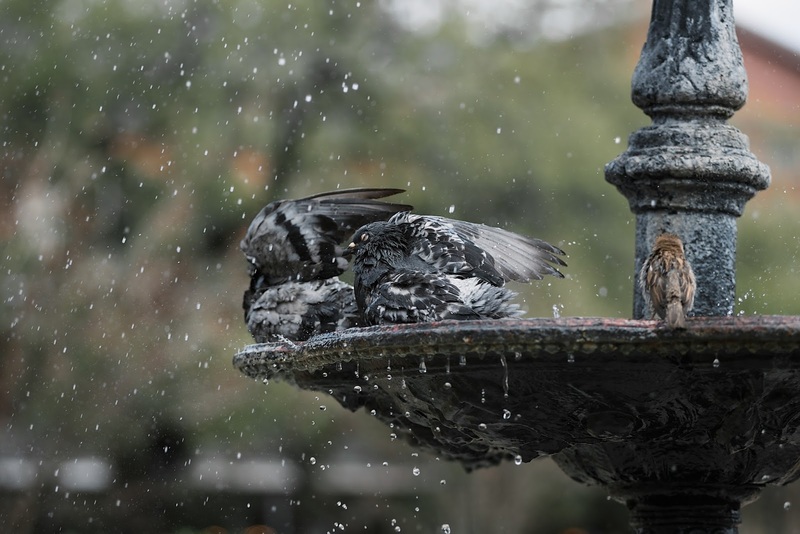 Thank you for graciously sharing the excellent article on your New Orleans trip and the very nice photos. Your recommendations are appreciated as I plan to visit the city come September. You are such a creative writer Sylvia, and I always look forward to reading your post and viewing your beautiful photos. My dearest Sylvia, HELLO! Thank you so much for coming to comment on my blog. I am having such fun now with Clara. She is my first human model and I learned SO MUCH just in that one day with her. Both of us are novices, but for it just being our first time, we walked away quite pleased. You are right; the lighting on her skin came out just right and while I shot the photos, I made sure I placed her and myself in just the right light. WOW is it a lot of work but so worth it. Love the street tour in this photographic form! Beautiful! Thanks for sharing at HSH!